Pyramid Flame Heater Stainless Steel Outdoor Patio Gas Flame Heater. 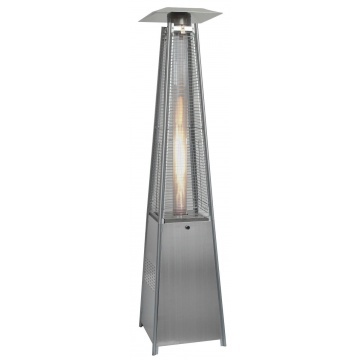 The Pyramid Gas Flame Patio stainless steel outdoor flame heater adds a new dimension to alfresco dinning, the central gas flame radiates atmosphere whilst the 13 kW heat keeps the chill off those cooler evenings. Superior 13 kW heat output compared to standard 9 kW models. Stainless steel flame heater housing. Perfect way to add a warm atmospheric ambience to your garden patio or terrace. Anti tilt safety gas flame cut off switch. Automatic gas flame shut off safety device. 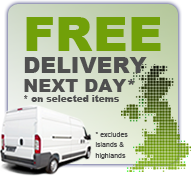 Runs from Calor Gas propane patio gas. Gas regulator and hose included. Weight ( excluding gas bottle ) 30 kg.